Iran released four Americans in a prisoner exchange, but Jewish-American Robert Levinson is not among them. The loved ones of a former FBI agent missing in Iran said Saturday that they were "devastated" to learn that he was "left behind" and not included in the latest prisoner swap with Iran. Robert Levinson, 68, a father of seven from Coral Springs, Florida, vanished during a trip to Iran in 2007, disappearing on Kish Island off Iran's coast. His family has acknowledged that he had been working for the CIA in a rogue operation. "We are happy for the other families. But once again, Bob Levinson has been left behind. We are devastated," Levinson's family said on its Facebook page. Levinson has been widely reported to be Jewish. "We were optimistic about President Obama’s pursuit of direct talks with Iranian officials. In particular, we saw the nuclear talks as a golden opportunity to resolve my father’s case, so long as both sides were willing to negotiate. However, we were devastated that he was not released in the aftermath of the accord. Now we fear that the United States has squandered its best opportunity for leverage in ensuring my father’s safe return home." Officials announced Saturday that four Americans - Washington Post reporter Jason Rezaian; former Marine Amir Hekmati; Christian preacher Saeed Abedini; and Nosratollah Khosravi-Roodsari - will be released in a prisoner exchange between the US and Iran. The four were then released and reported to be en route to Germany. A fifth American, Matthew Trevithick, was released separately and was on his way back home Saturday evening, his family and White House officials said. NBC cited an unnamed senior Obama administration official who said Saturday that the US has not been able to determine Levinson's whereabouts, but has repeatedly raised the issue of his disappearance with Iranian officials. Obama administration officials told a conference call Saturday that they remain committed to finding Levinson and ensuring his return, the senior official added. In 2011, Levinson's family members released photos and videos they had been sent in which he begged for help. "I have been held here for three and a half years," he said in the video. "I am not in very good health. I am running very quickly out of diabetes medicine." The last known man to see Levinson alive in Iran has claimed that Levinson was definitely detained by Iranian authorities and is almost certainly still in Iranian custody if he remains alive, according to Christian Science Monitor. 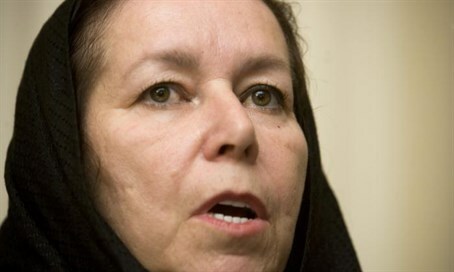 Dawud Salahuddin, an African-American convert to Islam who met with Levinson on Kish in 2007, told the Monitor in Tehran that they were detained at the Maryam Hotel on March 9, 2007, by six plainclothes policemen and then separated.